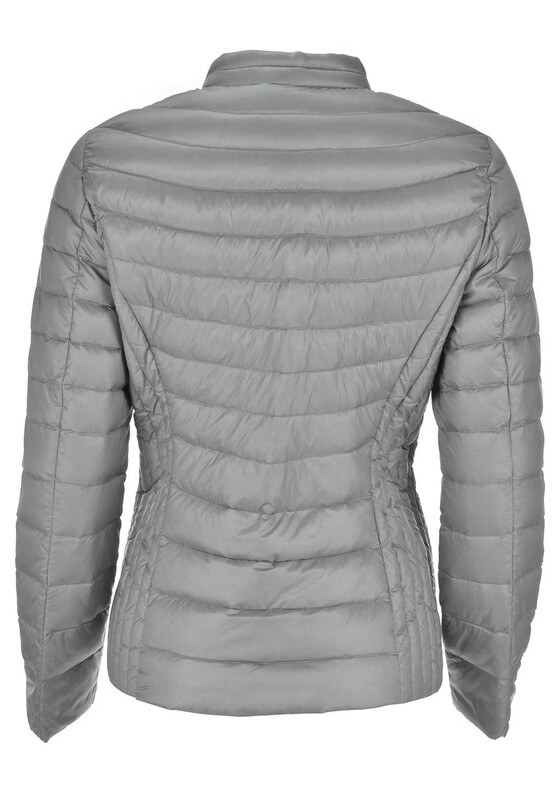 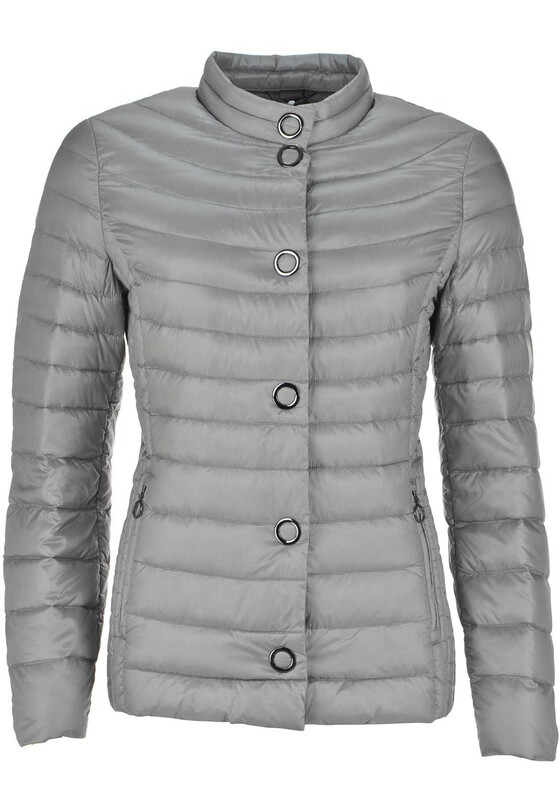 Stay warm and cosy on blustery days with this grey anorak from Gerry Weber which would be a practical update for your jacket collection. 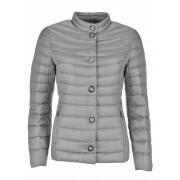 Made from fabric which is padded with down and feathers and has a curved quilted pattern throughout. 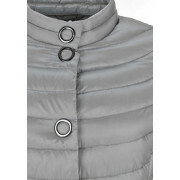 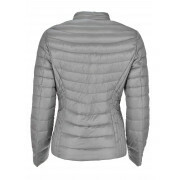 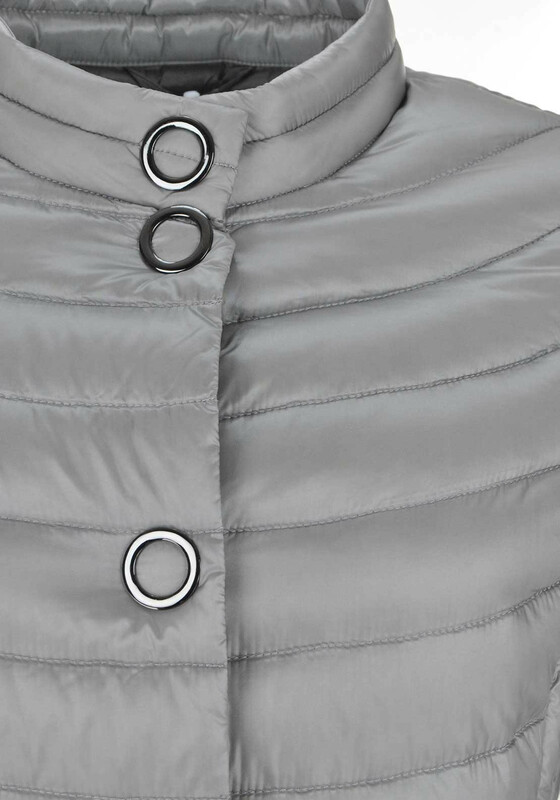 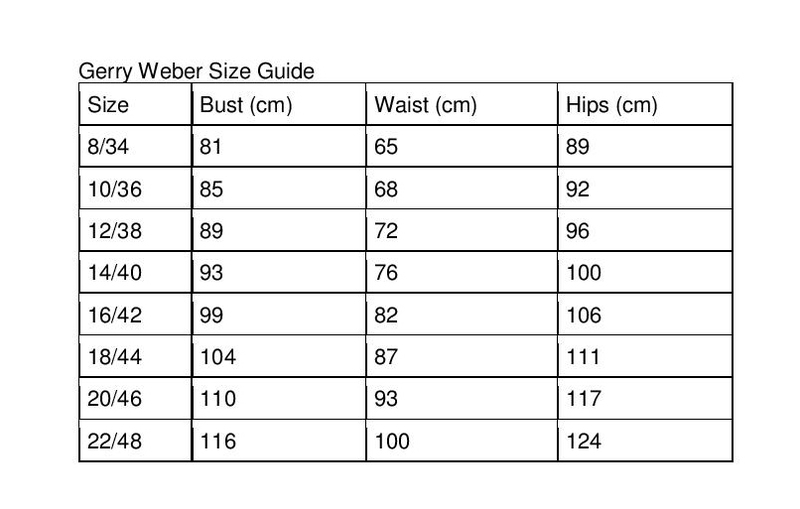 Designed with a figure fitting shape and featuring snap button placket with metal circle details and zipped pockets.